It will cost a pretty penny, but the Greater Nanaimo Cycling Coalition says their proposed Inside Passage Bike Route along Highway 19A could be a boon to local people's health and local businesses. The Greater Nanaimo Cycling Coalition is lobbying local and provincial governments to invest in Highway 19A for cycling and brand it the Inside Passage Bike Route. 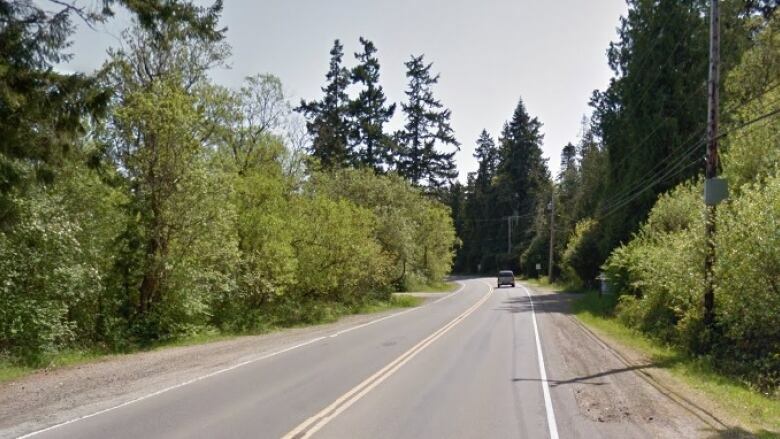 19A runs from Nanaimo to Campbell River, and the group believes it has potential as a major piece of cycling infrastructure on Vancouver Island that connects to the Sunshine Coast. "[Local communities] are very interested to work together and to go ahead with this particular initiative," said Leo Boon, chair of the Greater Nanaimo Cycling Coalition, in conversation with On The Coast guest host Gloria Macarenko. "From there, we need to talk a little bit about money and some improvements in particular areas." Is Canada missing the boat on cycling tourists? Boon says the proposed route could take cyclists on a circular route from Horseshoe Bay, on a ferry to Nanaimo, then up to Campbell River, back across the Salish Sea to Powell River, then back down the Sunshine Coast back to Horseshoe Bay on a four-day trip. Boon says the problem today is that the route interacts with Highway 19, which is much busier and has a speed limit of 120 km/h, "Which for cyclists is a bit daunting on a five to eight feet shoulder," Boon said. Boon and his group are lobbying for $1 billion to be spent over 10 years for walking and cycling projects like this for the entire province. "Most non-profit organizations that deal with health care issues from obesity to heart and stroke and cancer, all recommend that people do low-impact activities, and cycling is a great one." Boon also says the upgrades will lead to spin-off benefits for businesses in the area, and his groups is mapping out places where travellers will want to spend money. "There are wineries, there are bed and breakfasts, great hotels that cater to cyclists, there are great food places, coffee shops, breweries, you name it," he said. Boon is hopeful Bike BC funding from the province will go toward the project, but notes that funding is contingent on matching funds at the local level, which is hard for some communities to come by.